In addition to our standard undergraduate and graduate programs, Gordon now offers three innovative options for students in transition. If you are a Gordon student on the cusp of completing your undergraduate degree early, or have room in your schedule during senior year, Gordon Plus allows you to begin graduate work ahead of your peers—meaning a faster launch into your career and ample savings along the way. Expand, accelerate, jump-start: It’s your move. "Not only does this program allow me to quickly and more cost-effectively meet the credit threshold for the CPA exam, but it also opens up a world of opportunities." You’ve completed all your academic requirements ahead of schedule, but aren’t ready to leave Gordon in December. Finish your four-year experience and get a head-start on graduate work in education or financial analysis, while taking a few additional undergraduate courses.  With the option to extend your stay at Gordon, you could complete an undergraduate and graduate degree within five years—saving you a total of up to $4,800 and allowing you to enjoy your full college experience. For free courses, must enroll in a minimum of 12 credit hours (undergraduate and graduate combined) and pay block pricing. Combined number of credit hours cannot exceed 20 hours. You’re graduating in December with the goal of entering your career or graduate school as soon as possible. Start right away by diving into one of Gordon’s graduate programs in education or financial analysis with a free first course and discounted housing. You’ll save up to $4,150 and enter your career field early by earning your undergraduate and graduate degrees in four and a half years. You’re on track to graduate in May but have a light load your final year. Take advantage of the extra room in your schedule to get a head start on a graduate degree in education or financial analysis with up to two free courses. Beginning your grad school experience early means you can complete an undergraduate and graduate degree within five years, and save up to $4,800. *Automatic admission applies to students in “good standing,” measured by a minimum 3.2 GPA and recommendations from an advisor and faculty member. Students with a GPA under 3.2 may still receive preferred but conditional consideration. The Gordon Plus program applies to the Master of Science in Financial Analysis and the Master of Education degrees.